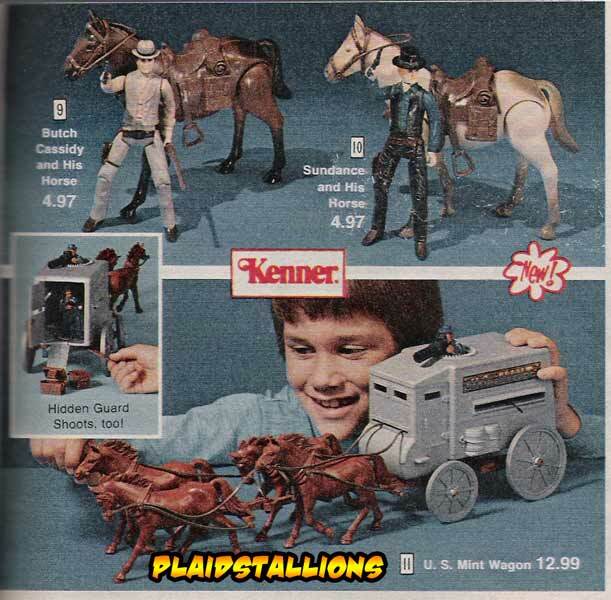 Another toy line that I never knew existed, Kenner's Butch and Sundance (based on the 1979 prequel) line made a real quiet debut but the amount of effort into them have made them a cult favourite with collectors. The Saloon playset is a recycled Star Wars Creature Cantina and the figure's body style would later be used for Indiana Jones. 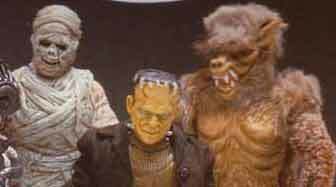 Sundance was played by William Katt, most people remember him better for this series. I rarely discuss new toys but this one really caught my eye. It seems a company has released Spiderman and Wolverine Parachute figures that harken back to the days of AHI (more on them very soon), this sucker works pretty well on the front lawn, although I need to work on my throwing technique. Apparently there is a Captain America figure out there too. It seems as good a time as any to talk about my appreciation of a muscular man in a loin cloth. 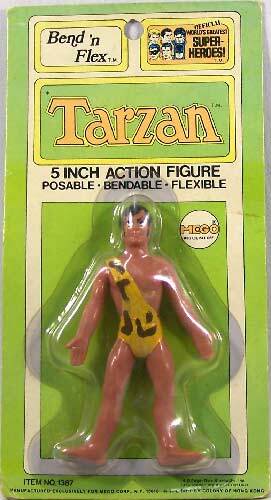 I'm talking about Tarzan and today's update to the site is all about the various cool Tarzan toys I've picked up over the years. Check out the (Hopefully soon to expand) Gallery of Tarzan Toys at Plaidstallions.com. 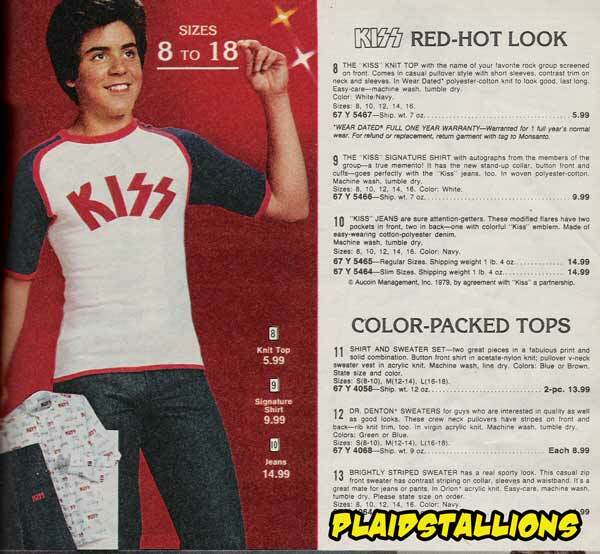 Here are some very rare examples of KISS merchandising, as everyone knows the band doesn't care much for merchandising as they feel it ruins their artistic integrity. 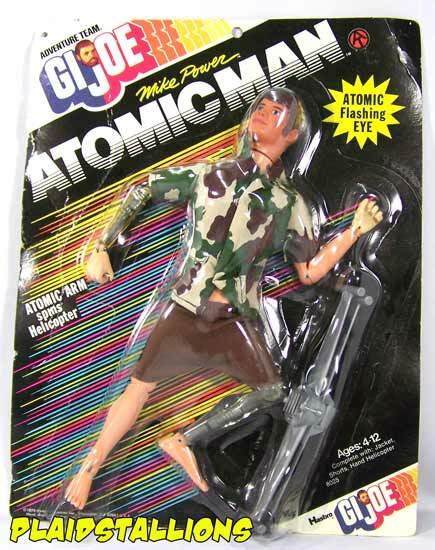 Another happy memory for me is Mike Power: Atomic Man, rumour has it that Hasbro didn't want to license the Six Million Dollar Man series so they beat everyone to the market with his G.I. Joe equivilant. 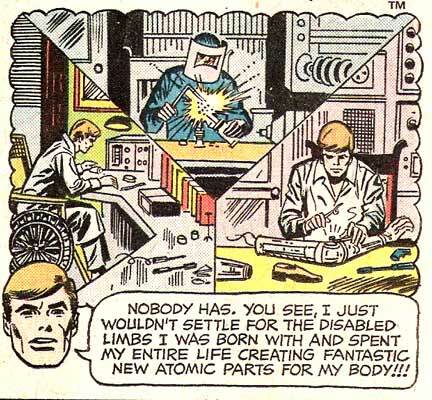 Hasbro gave Mike and interesting back story, a cripple who built his own new (clear) bionic limbs to replace his own. I always wondered how he did that by himself? I can't even fix my broken down back deck without my wife steadying things, this guy replaced his limbs, jeez. Click to read the whole sordid tale, it's rated X. 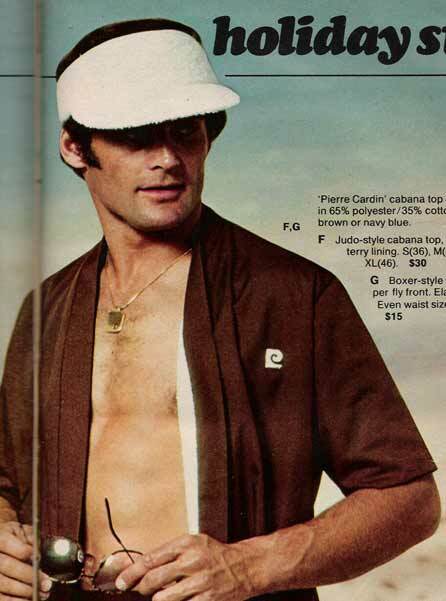 Today marks the one year anniversary of this blog and it seemed fitting to use it to pay a little attention to my favourite catalog model, Brick Mantooth. I originally blogged about him here, calling him "Brick Conners" (after "Mannix" star Mike) but eventually my appreciation for emergency star Randy Mantooth, forced me to change that. 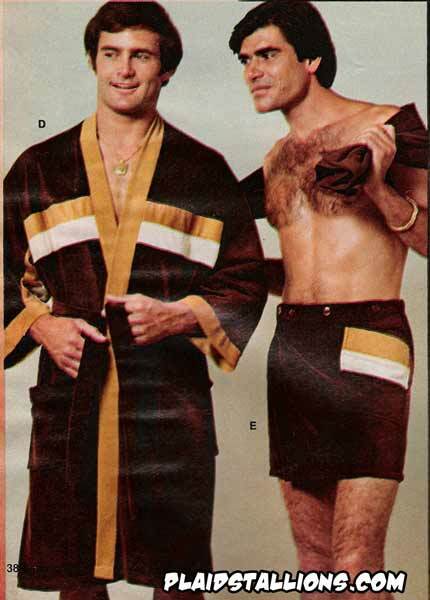 He's the epitomy of the 70's swinging male, rarely seen with a shirt or a without a medallion. 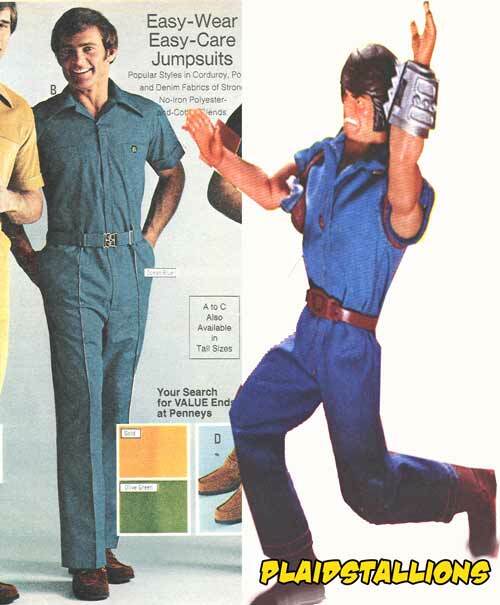 It's always a better catalog when Brick shows up. 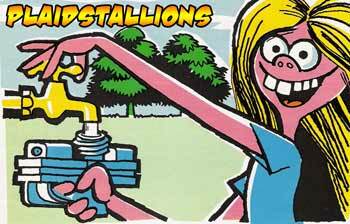 This week marks the anniversary of Plaid Stallions, so I'm devoting much of it to things that me happy. One of those items would be Crazy Foam, although I'm not exactly sure why. 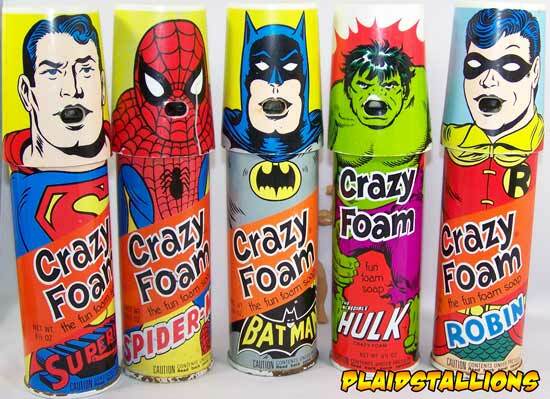 For those not in the know, Crazy Foam is a bath product, which if I'm not mistaken smelled a lot like shaving cream. 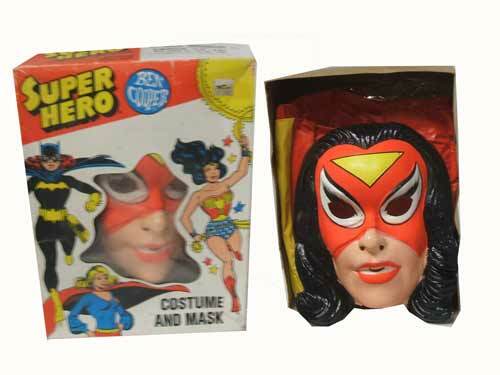 The true fun of it in the 70's were the licensed Superhero cans, which allowed your favourite Comic Book Star to throw up on you. As weird as that sounds, these things bring me right back to childhood which is pretty powerful considering it's not really a toy. This is a follow up to the first Charlies Basement segment in which I took random photos from a friends toy collection. 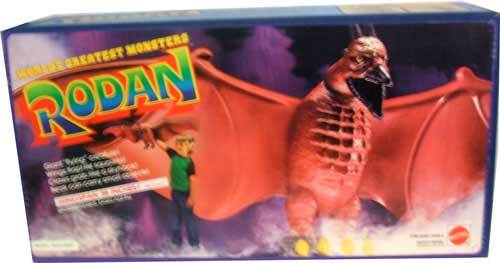 Above is a boxed Mattel Rodan, that one made me a little jealous as did the perfect mailer boxed Shogun Warriors. 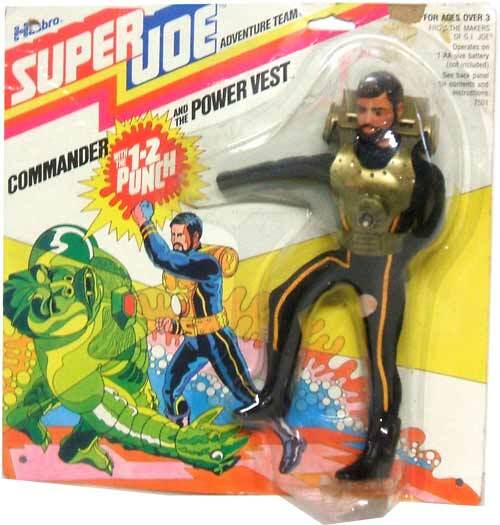 Carded Super Joe figures are extremely hard to find, I've never seen a loose example of the commander in this outfit, let alone carded. Note that the hands are disintegrating which is really common with these guys. 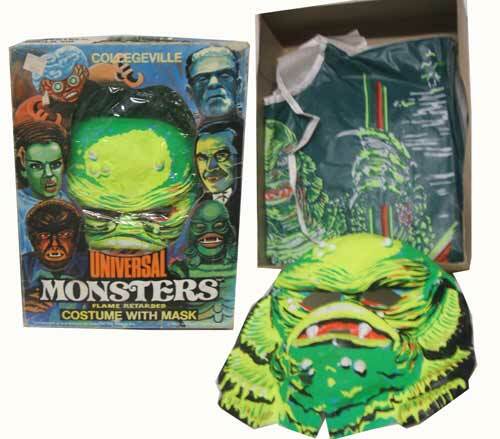 Apparently this Creature from the black Lagoon Halloween costume is uber tough to find. I admit it, I have a boyhood crush on Spider-Woman. 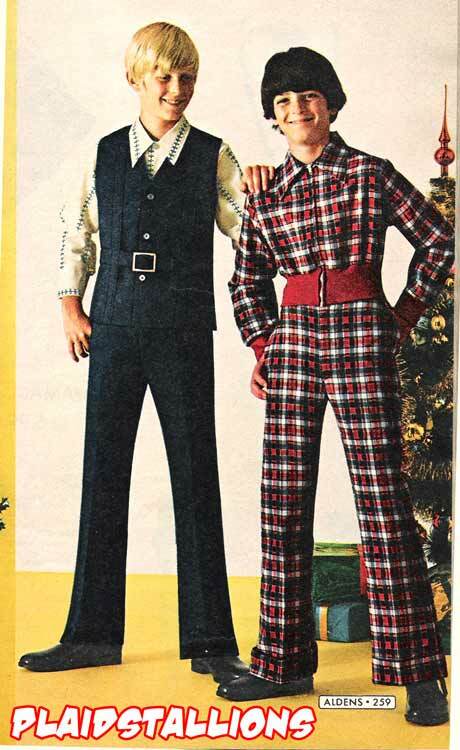 No wonder Sven in the back is smiling, he could wear an "I love Grandma" T Shirt to school and nobody would notice him standing next to the Mike Brady action jumpsuit. I couldn't help but notice that this blue speedsuit ( Just like the one Doc Venture wears!) 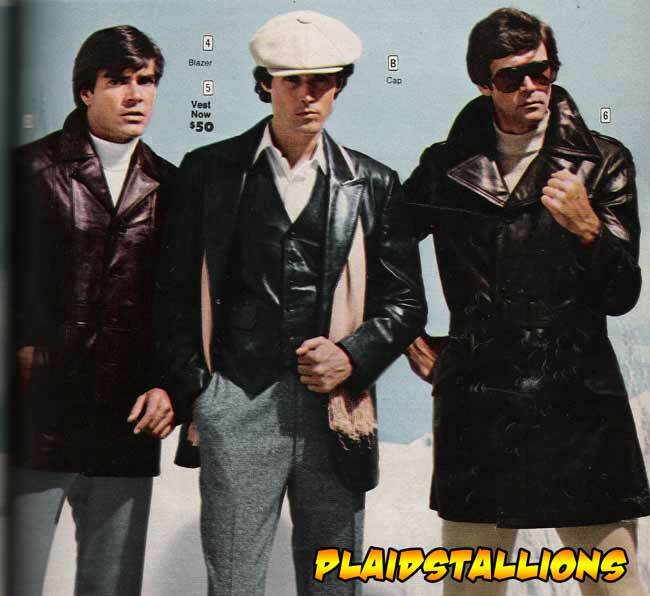 modelled by Plaidstallions spokesmodel Brick Mantooth resembles Double Trouble Big Jim. That's so boss, I really need to get me a speedsuit. Friday the 13th seems to be the perfect day to showcase the Maxx Fx items from the 1989 Matchbox Catalog, sort of a monster version of Captain Action, had Matchbox not made a grave marketing error we would have had 10" Mego bodied versions of Jason, Alien, Frankenstein and the Creature from the Black Lagoon just to name a few. 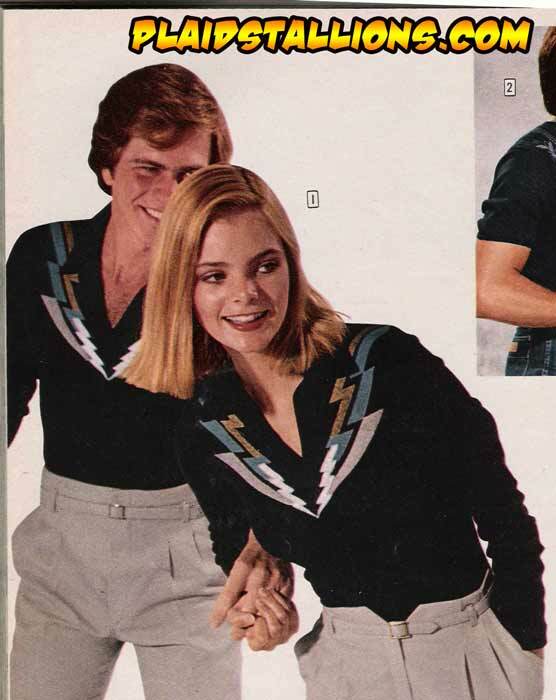 Few remember the "Lightning Twins" from the pre Claremont X-Men, their power was to join hands and sing Capenters songs, annoying anyone within earshot. Earshot was another rejected X-Man, thanks I'm here all week. A few months back I did a spotlight on Battle of the Planets Toys , being a fan, I thought I knew all of the US merchandising. 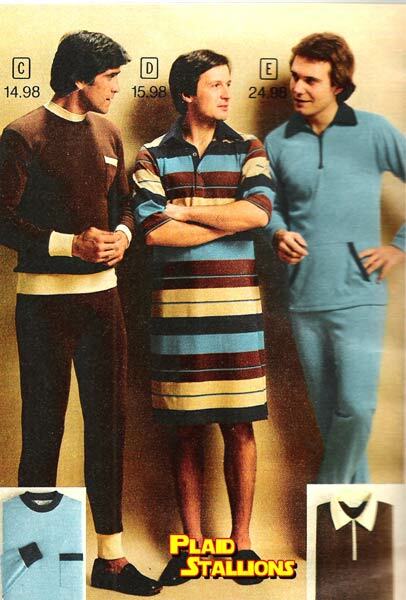 That's why these PJs and robe came as a big surprise. US Merchandise for BOTP is pretty sparse (North American kids never even got action figures) that's what makes this stuff so cool. I wonder if any of it survived. 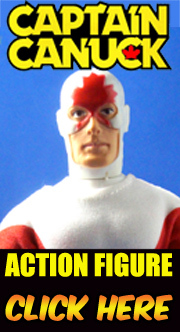 I think Rom might be the only action figure created by Parker Brothers (depends on what you think Nerf Man is). 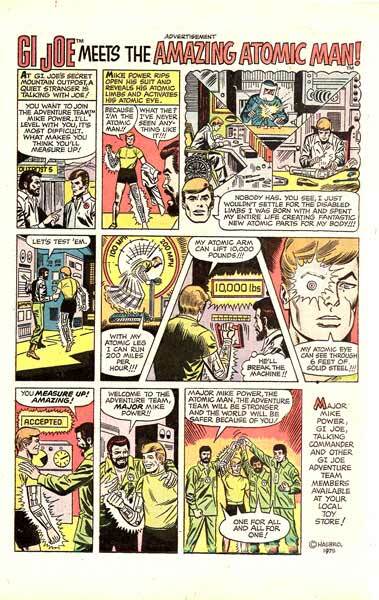 Released before it was legal for toys to have animated series, Rom had his own Marvel comic and what a comic! 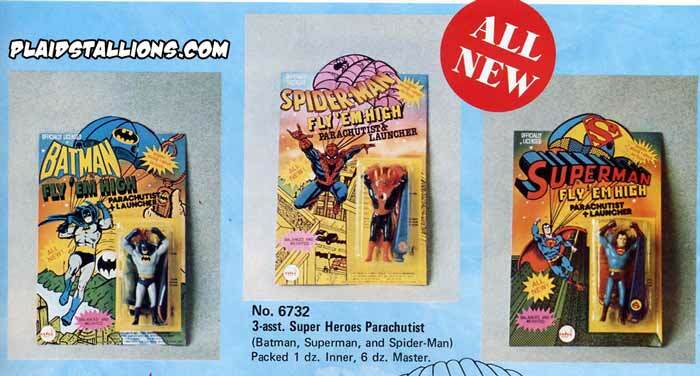 Much like the Mego Micronauts, the Marvel team would produce a book that would far outlast the toy itself. 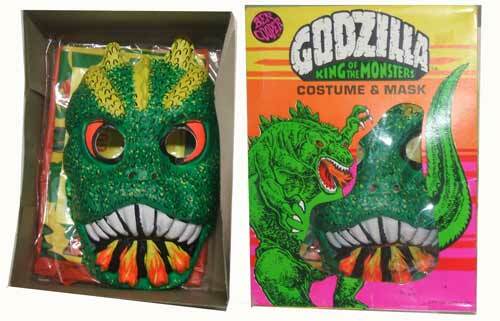 I remember getting that first issue and being PUMPED to buy the ROM doll, of course, I never saw it at retail. Rom's creator has a website that gives some back story into the toy's creation, check it out here. 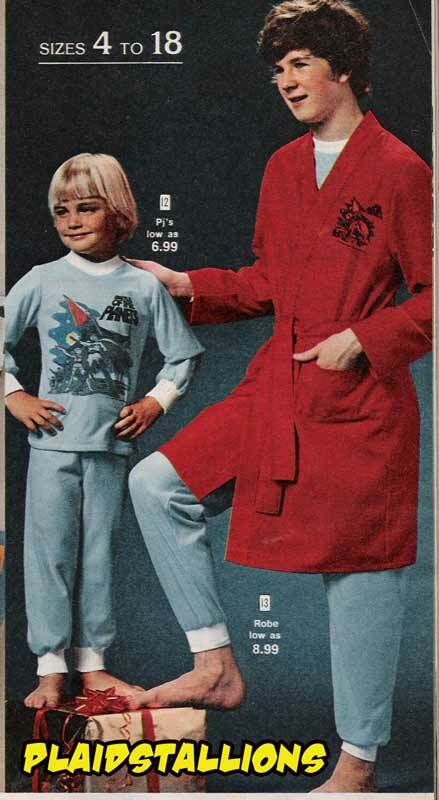 This funky 1977 Water Pistol Catalog from Barton really surprised me, I couldn't believe how many of these I had. The Green Avenger was not only something I had but I later realised my Dad sold them! 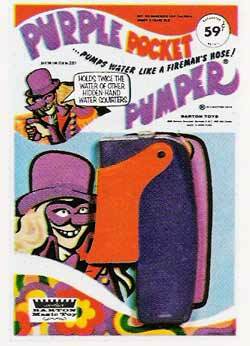 "Purple Pocket Pumper" is the greatest and creepiest toy name ever. Is that Alex from Clockwork Orange on the packaging? For more Waterpistols click here. 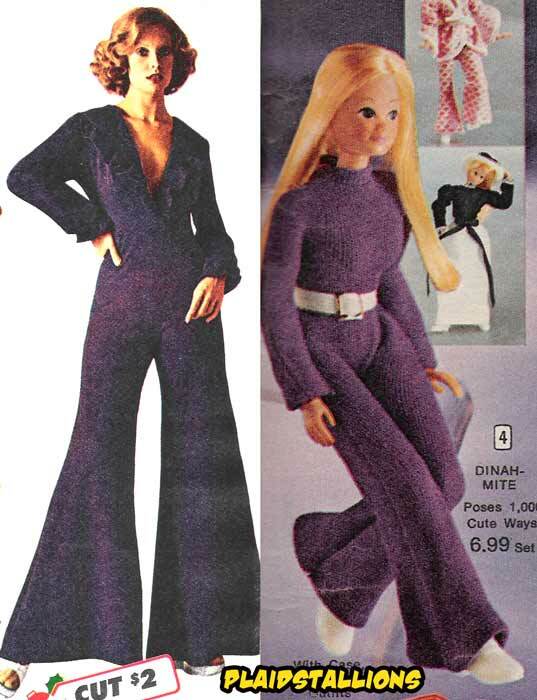 The unintentional theme to this week seems to be "Mattel toys my mom refused to buy me". 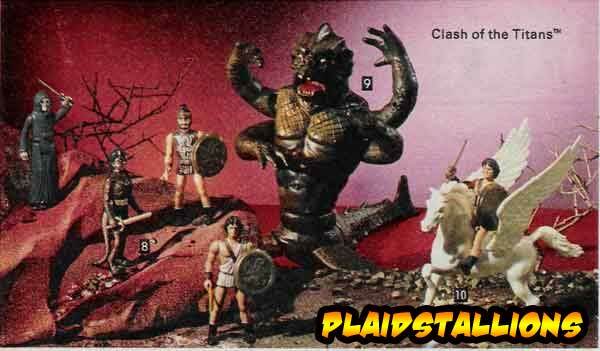 Clash of the Titans was at least a compromise, I was allowed to have Perseus and Thallo but not the uber cool Calibos or Charon because as my mum daintily put it "They look like hell!" 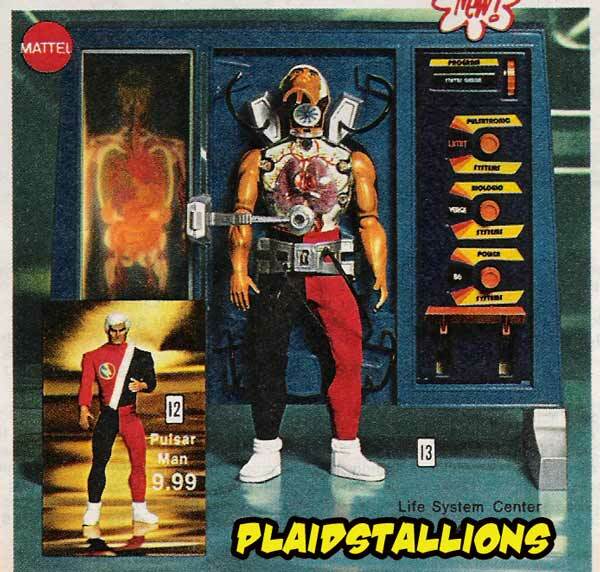 I've already mentioned on several occasions how i think Pulsar is the grossest superhero this side of Slim Goodbody but I'm even more perplexed at his headquarters. While it sounds truly exciting to monitor his life signs, why the hell does he need an X Ray? What can't you already see? 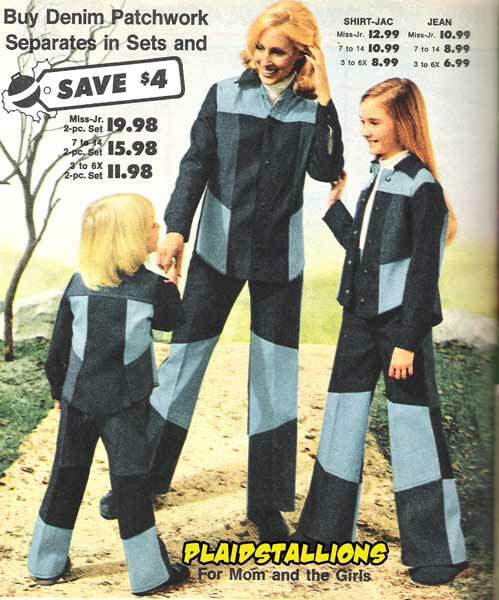 These outfits look like they were the wardrobe for a prison episode of Space:1999. 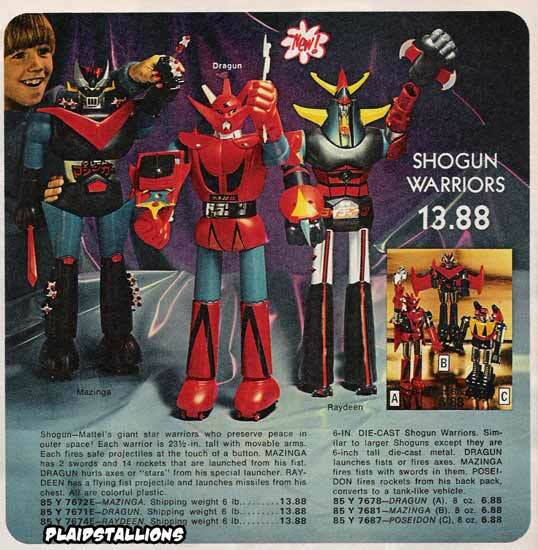 I envy all of you who had Shogun Warriors as a kid, I was perpetually denied. 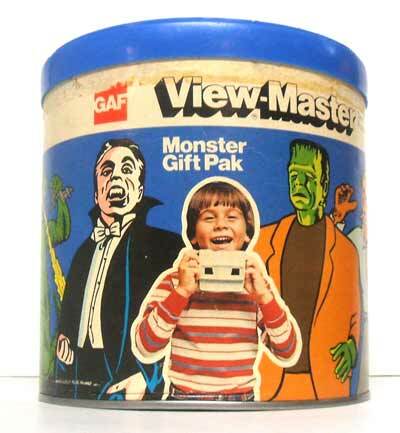 The closest I came to owning them was waiting the neighbour kids out until they were 13 and their parents had yard sales. I still have your Mazinga Willy! Victory is mine! 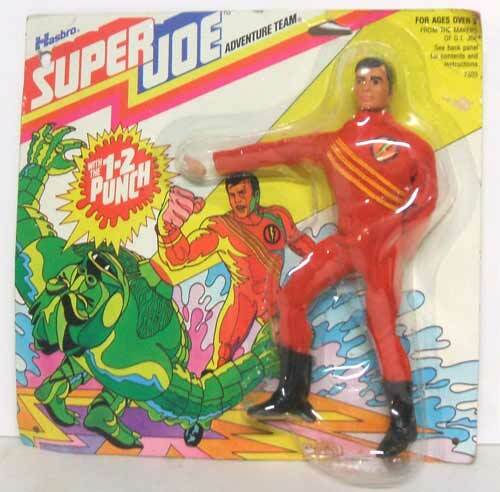 , If you haven't preordered the upcoming Mego Book "World's Greatest Toys" but are planning to, it is vitally important to do so now. Showing a big fan interest is key to this publication, you can pre order from Amazon here.